On April 23, DIP and STC Foundation will be premiering a unique piece, as the first American Chinese organization to bring the art of YiZhen 藝陣 to the international stage. This reaches back to the rich Taiwanese heritage of folk performing arts that is still practiced today. We will be presenting and preserving the iconic traditional costumes, painting ritual, music, and props with refined and elevated movements from trained performers. You do not want to miss this one of a kind performance as we advance this prominent street folk art to the level of a performing art, revitalizing traditional folk arts without losing the traditional essence. Here is a sneak preview of our tribute to some of the magnificent traditional costumes/props. Come watch us for the complete experience! STC Foundation is proud to joined up with the Compton Jr Posse in the "Kingdom Day Parade" celebrating the Martin Luther King Jr Day. "Our Work Is Not Yet Done"
STC順天聯合表演團 Performance Group will be performing at the Bower's Museum "The Moveable Feast & Enchanting Taiwan Bazaar"
Following the film, we will move to the historic Key Courtyard, where amazing booths highlighting various aspects of Taiwanese Culture, including Calligraphy, Fortune Telling, Candy Sculptures and much more, will be set up. While you explore among the various cultural booths, you'll be dazzled by a variety of traditional Taiwanese live entertainment including the traditional "Three Prince Dance", Tai Chi, and Traditional Folk Dancing. At 6:00, the entertainment and booths will continue through sunset to a sit down dinner of traditional Beef Noodles and Taiwan Beer. As the sun sets, an amazing raffle will take place featuring lots of great prizes including a one-week travel tour to Taiwan. Join us for this spectacular evening, featuring Taiwanese music, traditional beef noodle soup and other food demonstrations and tastings, beverages, door prizes, gifts, and fun! Raffle prize: Opportunity to win a one-week travel tour to Taiwan visiting all of the must-see attractions and sites. Package includes one coach class air ticket to Taipei sponsored by China Airlines and one land tour with 5 days 4 nights package including English speaking guide sponsored by Lion Travel Service Co., Ltd. Additional guest tickets available for purchase at discounted price. Not to be missed! Co-sponsored by Taiwan Tourism Bureau, Lion Travel Service Co., Ltd., Taiwan Academy, Taipei Economic and Culture Office, and China Airlines. 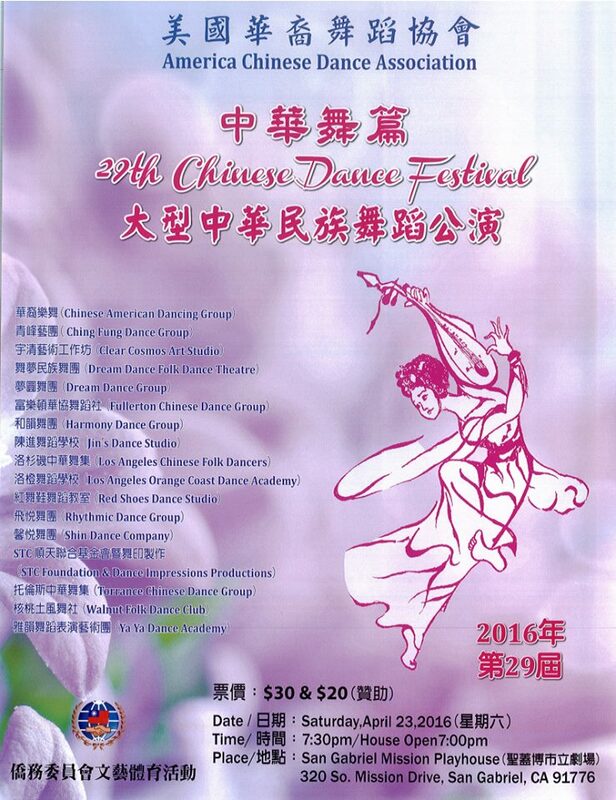 STC Foundation and Dance Impression Productions will be performing on 4/18 at the American Chinese Dance Association's Annual Chinese Dance Festival. It is of the 28 year for this fantastic performance. Do not miss it! 2015 STC Youth Leadership Camp has start to accept applicants! STC 領袖品德培訓營開始接受報名! Starting April 1, 2015 STC Youth Leadership Camp will start accept applicants for program participants and counselors. Space is limited and is filled at first come first serve basis. Don't miss it and apply early! The 42nd Annual Buckboard Days Parade and Festival happened last Saturday. 69 floats from school, community groups and business came to participate in the parade. This year's float theme is "Nature in our backyard". To follow the theme, STC Foundation's float devise the float with components of "Lions" "Lotus Fairy" "The weather girls" and our "patriotic walkers", "Third Prince Team", and last but not least, "Giant Panda Lanterns", representing the creatures that's facing the results of us humans' attitude towards nature. STC Foundation was honored 1st Place for Float and Theme. This is this group's 5th win as 1st place! We are so proud of our participants and we can not continue to do this without your effort! STC FOUNDATION was established by STC Management in 2012, for the purposes of introduction, promotion and appreciation of the Asian culture and its arts. STC Foundation has dedicated itself to educate and enrich our community in addition to instill social and moral values in our younger generations.